I must say that I am continuously impressed by the affordable skincare that Japanese drugstores offer (not to mention rather jealous). 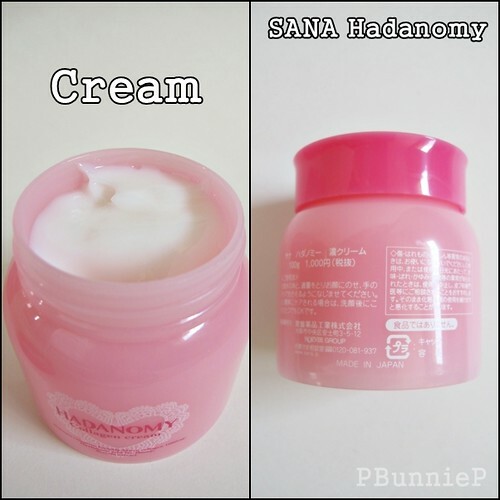 Everything from the packaging to the product inside, you can often find cute and hard working products for your skin. What is inside these cute bottles? Moisture retention formula of course! 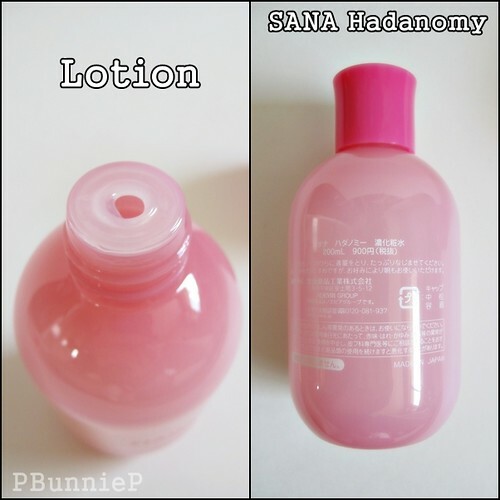 Thick lotion like texture. I think the concept is for this to be a "thick toner". Instant gratification! Pour a bit onto your hands, work it in your palm and pat into the skin. ***Does sting a little bit if I use this after a scrub, I suspect some alcohol content but again, I don't have ingredients to verify that one. Its not painful, just a little sting so beware all you sensitive types out there! Seals off any other skincare products very well if you apply the cream last. Plumps up the skin and increases elasticity. Soothing and slightly cool when applied. Beautiful skin when you wake up the next morning! If you have dry skin, dehydrated skin or even mature skin, I would certainly recommend that you try this affordable line. It really does live up to its claim of plumping up the skin and makes skin juicy! I can see this working well for those with fine lines as well since collagen is one of the most widely used anti-aging ingredients not to mention its coupled here with hyaluronic acid.